May 21, 2019 Bidding ends 6 PM! 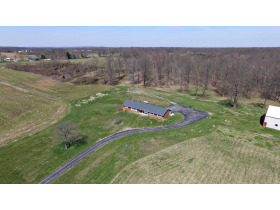 Located across road from Chariot Run Golf Course or 14 miles SE of Corydon! 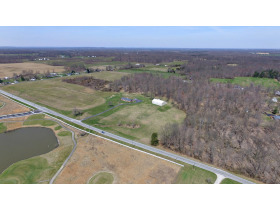 REAL ESTATE INFO: Includes an outstanding offering of 55 +/- acres in southern Harrison County directly across IN-11 from the beautiful Chariot Run Golf Course entrance. 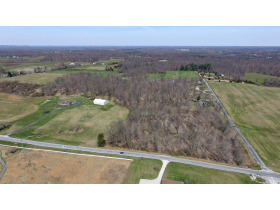 This property offers a variety of potential uses due to the layout, location, and features. 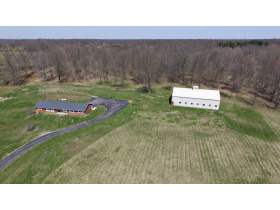 This farm was originally designed as a race horse farm, it included plenty of pasture area, tillable income producing acreage, and a training track. 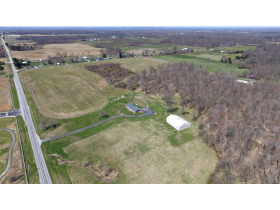 Some details include: 55 +/- acres, 4800’+ road frontage on, 25 +/- tillable acres, and 20 +/- wooded acres, well-kept home, large barn, excellent building sites, recreational land, and potential development due to its proximity to the golf course! 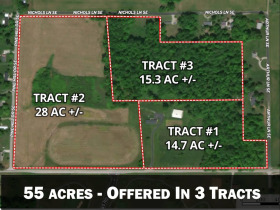 Property will be offered in three separate tracts. 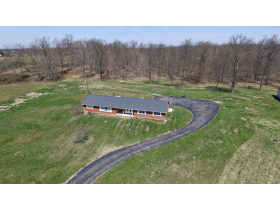 HOUSE INFO: Includes a one-owner well-kept 1969 built single story brick ranch home. Interior features: 1544 +/- SF, 2BR/2BA, full 1544 +/- SF unfinished poured wall basement & extensive remodel in 1998 throughout entire home. Kitchen features: large open floor plan, custom Hickory cabinets, large island, & appliances. Mechanicals: LP forced air furnace, AC, and electric hot water heater. Exterior features: attached oversized 840 +/- SF 2-car garage, black-top entrance/driveway, & rear deck. NOTE: septic system is sized for a 3BR home. BARN INFO: Built in 1999 as a horse barn, it has open design that could be used for almost anything. Features: 6/7 horse stalls, overhead loft storage, 4320 +/- SF, cupola, windows, electric, and water. 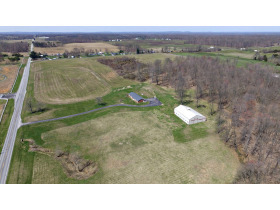 TRACT #1: 14.7 +/- acres; includes all improvement (house, garage, barn); 1100’ +/- frontage on IN-11 & 225’ /- of frontage on Arthur Lane SE; about half of property is wooded acreage. 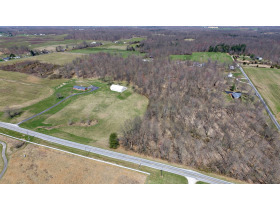 TRACT #2: 28.0 +/- acres; 1050’ +/- frontage on IN-11, 1300’ +/- frontage on Pine Hill Drive, 700’ +/- frontage on Nichols Lane; mostly tillable acreage. 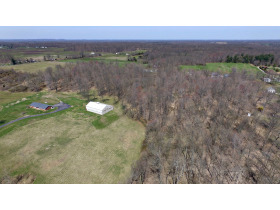 TRACT #3: 15.3 +/- acres; 450’ +/- frontage on Nichols Lane; tract is mostly all wooded acreage; excellent building sites. TIMBER APPRAISAL: Harvest value of standing timber has an estimated value of $12,673 per April 2019. See timber appraisal under "Documents" tab. FSA INFO: See “Documents” section for FSA Map and website interactive map on website. SOIL DATA SHEETS: See “Documents” section for soil map and report. SURVEY INFO: Seller to pay all survey fees. See “Documents” section for auction plat and tract layout. FARM LEASE INFO: No tillable land leases in place for 2019. DIRECTIONS: From Corydon, south on IN-337S 10 miles, turn left on IN-11 3.8 miles to site on left. From Elizabeth, south on IN-11 3.9 miles to site. From Laconia, north on IN-11 7.3 miles to site.